The National Memorial Arboretum is situated near Lichfield in Staffordshire. The idea of an arboretum as a focus for remembrance was conceived in 1988, in the belief that there should be a living tribute to service men and women. Initially there was no money, no land, no staff and no trees. An appeal was launched in 1994, and gradually funds grew. Until recently there was no collective memorial there for the nurses who have given their lives in the service of their country, although there have been individual memorials elsewhere inspired by the VAD’s (Voluntary Aid Detachment). In the First and Second World Wars we know that there were at least 1,500 nurses who lost their lives. The dedicated care given by the nurses, although no doubt acknowledged at the time has never been publicly recognised, many of those who returned never spoke of their experiences, and the sacrifice of those who did not, was never properly recognised. So in 2011 a Nursing Memorial Appeal was established to rectify this and erect a permanent sculpture at the National Memorial Arboretum. The Nursing Memorial is not only memorialising the VAD’s who died in service but embraces all nurses who gave their lives in the service of their country. The permanent ongoing legacy is contributing to the work and training and research for today’s nurses who work in the field of Humanitarian Aid and Conflict Nursing. Today’s war zones present different challenges; terrorism is on our doorsteps, epidemics such as Ebola throw up new challenges as do natural disasters such as hurricanes and earthquakes. The Memorial Appeal Fund is chaired by Middlesex trained nurse Barbara Hallows (née McIver 1951-56). 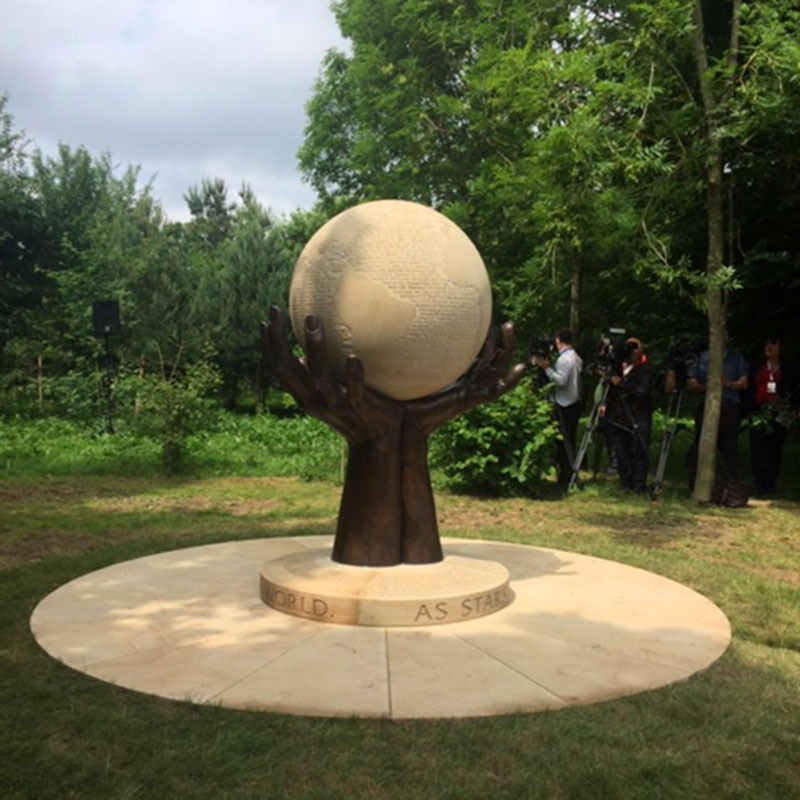 The memorial sculpture, set in a leafy glade just by the river Trent was most beautifully executed by sculptor Georgie Welch it depicts bronze hands holding and encircling a globe fashioned in stone by stone mason Nick Johnson with the names of nurses who died in conflict during the First and Second World Wars carved on it. Around the base of the memorial there is carved the words from a poem written by Middlesex nurse Audrey Ardern-Jones (née Pawle 1967-70) ‘as stars in the night sky they lit up our world’.